According to Reuters, Tesla issued a voluntary recall for all of its Model S sedans on Friday. The cause of the recall appears to be a seatbelt assembly. Nov 20 (Reuters) – Tesla Motors Inc said Friday it is recalling all 90,000 Model S sedans produced to check for a possible defect in the front seat belt assemblies. The cost of the worldwide recall will be “immaterial,” the company said. The problem was discovered after a single report to the company in early November of a seatbelt assembly breaking when a customer in the front passenger seat of a Model S on the road in Europe turned to talk with passengers in the rear seat. 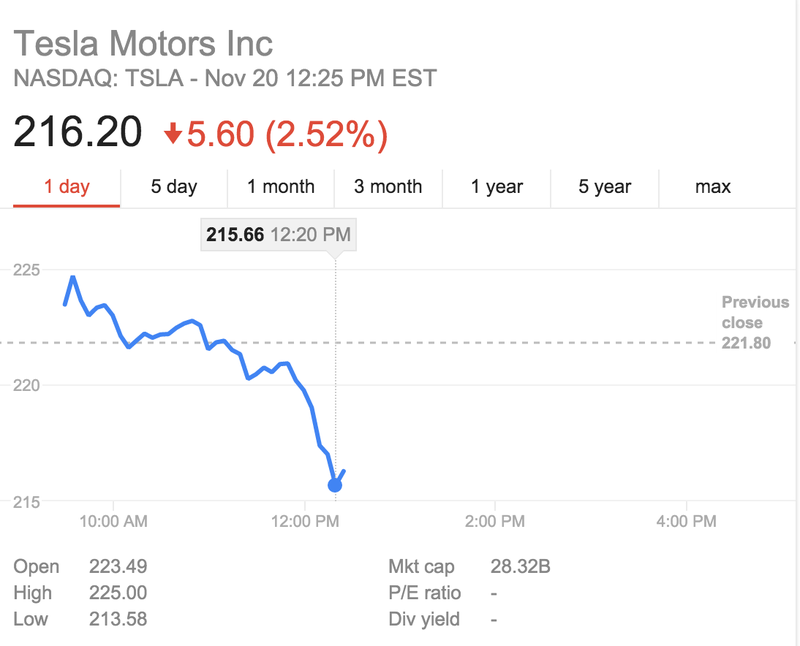 TSLA’s share price is dipping 5 points or 2.5% currently as a result.